Vincent Van Gogh’s mutilation of his own ear, Kurt Cobain’s suicide, and Ernest Hemingway’s alcoholism are just a few of the anecdotes that fuel the popular belief that creativity goes hand-in-hand with mental illness. But there are a few problems with this notion: first, it lumps together all of mental illness in a way that is nearly impossible to study and come to a satisfying answer. Some mental health issues involve persistent depression, impaired thinking, lack of enthusiasm, and trouble with effectively communicating that can impede creative work. On the other hand, some disorders involve mania, intense focus, irrationality, risk-taking, and other symptoms that could realistically help with creative endeavors. 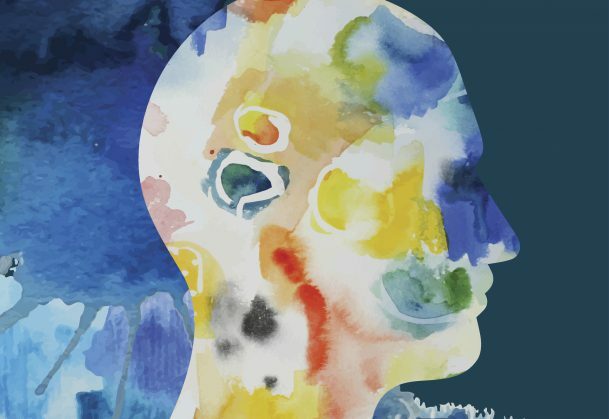 Christa Taylor, psychology PhD candidate at the University at Albany, State University of New York, recently performed a systematic review and meta-analysis of the research on mood disorders and creativity and found no clear link between them. She reports on her findings in Perspectives on Psychological Science. “You can have a mood disorder and be creative, but those things are in no way dependent on one another,” Taylor says. In her analysis, Taylor found a number of problems with prior research on the topic. Across the body of research, scientists have studied populations of people with diagnosed mood disorders, groups of creative professionals, and normal populations. They asked different research questions: whether those with mood disorders are more creative; whether ‘creatives’ have more mood disorders, or whether mood disorders and creativity follow the same path on the spectrum: that the more severe the mood disorder symptoms, the bigger the increases in creativity. The research that has attempted to answer these questions also has problems with methodology. Interviewers weren’t always blind to the research questions, and experiments failed to include active and passive controls. Taylor used important research in the field as a foundation for her study. A 2009 article from Judith Schlesinger examined the “’Mad Genius’ Hypothesis” and addressed the limits with the three most often cited articles surrounding this link. “It really opened my eyes to the issues in this area of research and sort of planted the seed for the eventual study, and in fact led me to think more critically about all research,” says Taylor. She used a 2010 review by Paul Silvia of the University of North Carolina at Greensboro and James Kaufman of the University of Connecticut to understand the broader scope of the issues and as a framework for her study, “particularly the need to make a distinction between creativity in those with mood disorder and mood disorder in those who display greater creativity,” she says. Silvia, P. J., & Kaufman, J. C. (2010). Creativity and mental illness. The Cambridge Handbook of Creativity, 381-394. I totally support that the research topic can’t be generalised, what i mean is, i might have a specific mental disorder which is for instance 2 out of 10 on a scale of disorder intensity yet another person could have the same exact disorder with the same intensity and not be as creative as i am. I think it depends on how the person takes advantage of the disorder or develops a thinking strategy that makes them more creative than others.